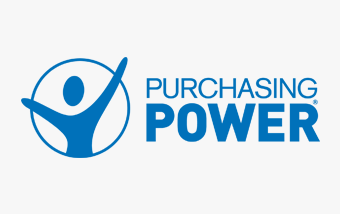 Purchasing Power, LLC, is one of the fastest-growing voluntary benefit companies in the industry, offering a leading employee purchase program for consumer products and services as well as providing financial tools and resources to improve employee financial wellness. Purchasing Power is available to millions of people through large companies including Fortune 500s, associations and government agencies. Headquartered in Atlanta, Purchasing Power is ‘Powering People to a Better Life™’ through its employee purchase program, financial literacy efforts and corporate social responsibility initiatives.